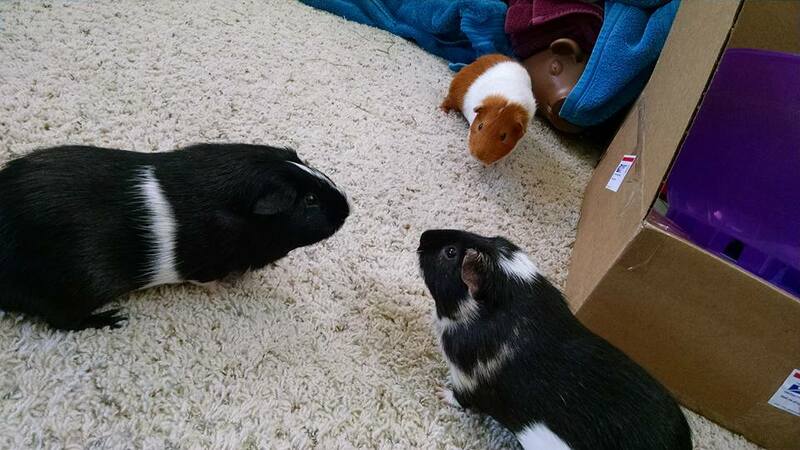 bois de vache: "@sophia how are tasty soup and casserole doing wi…" - Guinea Pig Party! @sophia how are tasty soup and casserole doing with an active little pupperfriend? @boisdevache They get on fine, mostly ignore each other and then occasionally soup gets upset because obviously. @sophia aw, I hope you feel better soon. I&apos;m sure the buns miss you even if it&apos;s really just missing the opportunity to be sassy jerks more often. @boisdevache thank you! How are the pigs doing? @sophia pretty good! Gussy hasn&apos;t picked up much weight but he alsohasn&apos;t lost so that&apos;s good. He gets his teeth checked and probably trimmed tomorrow. Jaq is still roly poly and enjoying snacks whenever he can convince either of us the other hasn&apos;t fed him in several entire MINUTES. @boisdevache haha this is so similar to the buns. Glad they're doing ok!